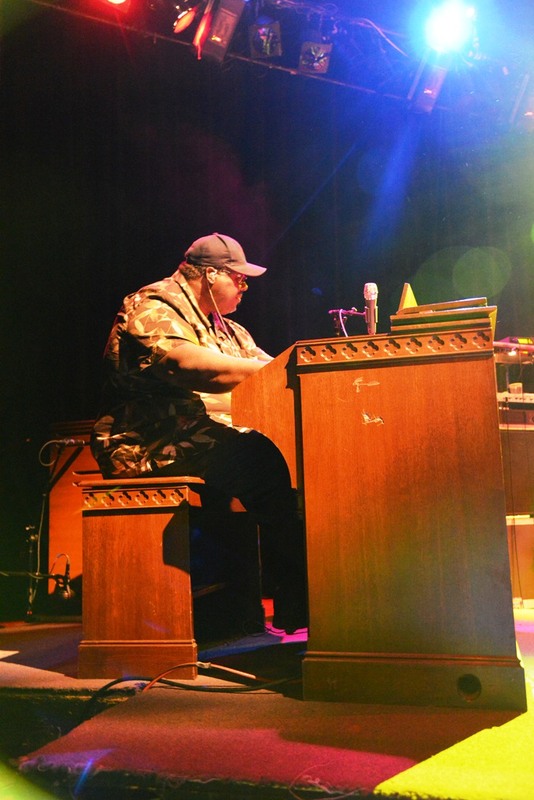 This is Dylan Muhlberg of Grateful Web here with legendary organ and piano man Melvin Seals. 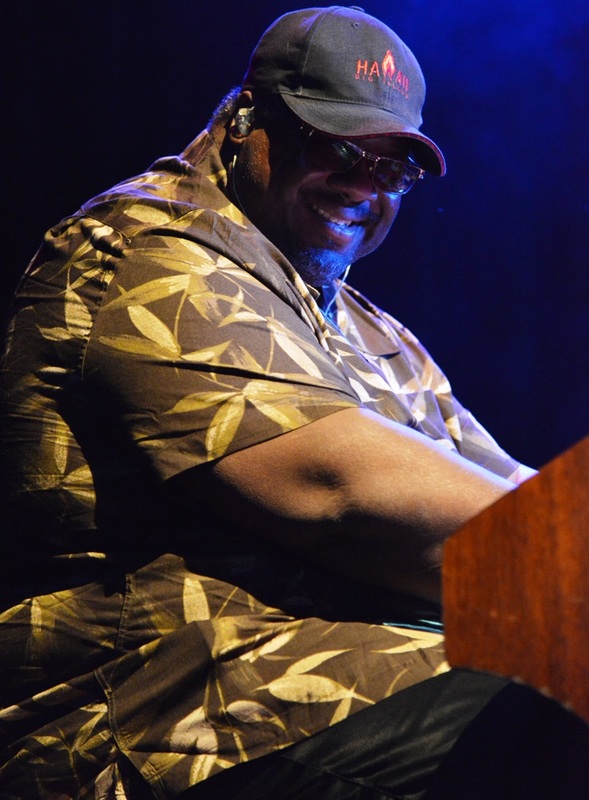 Melvin has been a strong presence in American Rock and Soul music for well over thirty years. He was tapped by Jerry Garcia to join his band in 1980 and remained a member for the rest of the band's thirteen-year tenure. We are so thrilled to have you with us, Melvin. GW: As I understand it, in the early days you learned to play piano in a church setting? MS: That is correct. My father was a musician and the choir director. He was one of the pianists in the church, and we had a piano in the house so you know when we’d come home from church I’d sit around and try to play what I heard in church until it started making a little sense. Then you learn to play by ear. It just came naturally. GW: As you developed your style as a teen growing up in the bay area in the 1960s what inspired you? What were you listening to? MS: We’ll I was so diverse listening to so many styles of music. Jimmy Smith, Billy Preston, Umm… Doobie Brothers. I listened to soul, gospel, R&B, jazz. I was listening to a lot of styles of music. And from time to time I got involved in certain things that we’re a certain style. For instance, I did six Broadway plays in San Francisco. And one of the big one's ways “Evolution of the Blues” with John Hendrix. So for a while, I was doing theatre and kind of jazz and blues from that play being in it so long, I was in it for six years. That’s kind of what I was doing. Then I got into other environments and would take on the environment of whatever I was doing at the time. But I listened to so many styles of music and was not captured into one style. GW: Was the Broadway gig what jump-started your professional career? MS: I guess the Broadway stuff was the jump-start. I did some things with a couple bands. When I got out of school, you do a garage band. We had our band and rehearsed every Saturday in the garage, we never did a gig, but the bands sounded great. I did a number of those. But I did one with a guy called Gideon Power. And He had a record deal with Bell Records way back at the time. And actually, his manager back at the time was Wally Amos, who went on to be Famous Amos with the cookies. Before he became famous with those cookies, he was a promoter and agent. And he was the agent for this guy Gideon Power and that was the first gig. And we flew to Albuquerque, and I thought I had made the big time. I thought, man, this guy bought my airline ticket, and we did one gig and flew home. So that was the beginning, and after that, I did a chain of six Broadway plays that took ten years I spent doing those. From that, I met Elvin Bishop, and he came down for one of the shows toward the end of the run for “Evolution of the Blues.” He came down and saw it and wanted to do a record with me. So I got in with him for six years and eventually moved on to Maria Muldaur and Jerry Garcia. But yes I would say the Broadway Plays were the first professional things I was doing. Aside from recording, but performing live was the first thing. GW: Well It’s great to hear about your origins and roots that led to meeting Garcia. When you met Garcia, how familiar with the Grateful Dead or his solo career previous? MS: I wasn’t too familiar. I wasn’t much at all. The only little I knew was through Merl Saunders who was a good friend of mine, and Merl was playing with Jerry, and I knew that. That was during when I was playing with Elvin, and we would kind of compare how he was being treated and how I was being treated. And those kinds of things from a brother to a brother and a different type of the band. But I didn’t know the music I just knew the name “Grateful Dead” because living in the Bay Area, whenever one of those guys would have a birthday. You would hear “Mickey Hart had such-and-such birthday” in the local news. They would always do New Years in Oakland at the Coliseum. And there would be news about that because people would come into town and cloud up the city on New Years. And locals wouldn’t want them there. So I had heard the name Grateful Dead, but I knew nothing about their music. I couldn’t point out a band member of who they were. But I really didn’t know anything about Jerry when I was standing in front of him. Still, don’t know who he was. GW: Knowing that, it's incredible how you discovered your musical and personal kindred ship and how your band together gave each other an outlet to play the music you wanted. Do you think that being Bay-Area bred gave you that musical empathy? GW: And It was a great bridge between you and Merl Saunders, sustaining that R&B/Soul sound that he didn’t get to do with the Grateful Dead. MS: He seemed to really like that a lot. He was pretty happy with the band from that point on. I understand that before the band was a bit of a revolving door, but when I got in it I was there until the end. 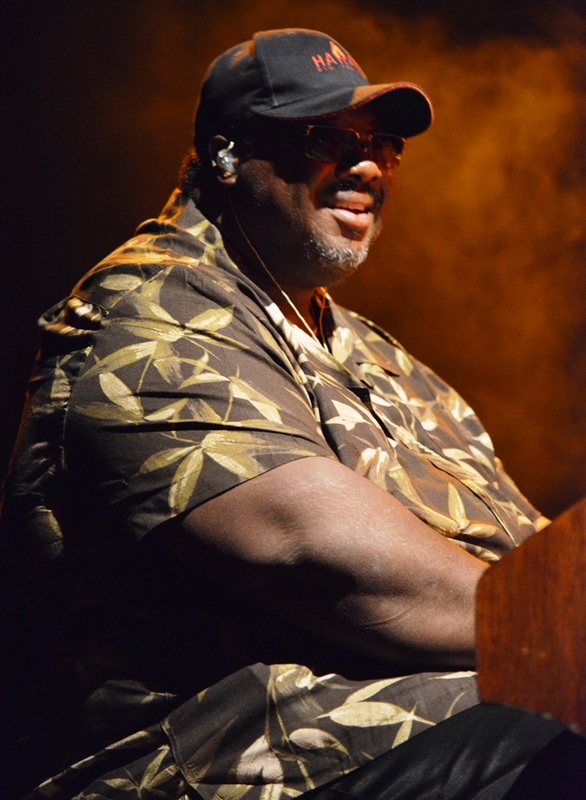 GW: Between yourself and John Kahn as his longest-standing collaborators, it seemed that you locked into the groove with David Kemper, Jackie LaBranch, and Gloria Jones as a tight musical unit. What about this collective was built to last? MS: Jerry wanted some background singers, and we had three other teams before Jackie and Gloria came to the table. They didn’t work out quite like we wanted them to and Jerry came to me and said: “Melvin your from the church you’ve gotta know singers.” And I did, so we tried girls out. And really before Jackie & Gloria, it was DeeDee Dickerson and another lady whose name I forget since it was so long ago. They only did one tour, and it didn’t work out, and we got rid of them right away. I knew Jerry was depending on me. The problem that I had was most singers like myself worked, and to get someone to get off their job and come tour was difficult. Join that band, and you’ll make good money, and they would say no way. They’d ask for vacation time, and I’d tell them that’s not the way it works, and you’ve gotta commit. They didn’t know like I didn’t know what it was all about. So it was hard to get a commitment. Finally, I did some recordings with Gloria, and it was Gloria and another singer one time. That other singer didn’t work out, so I thought of Jackie. Gloria and Jackie got it really quick. They saw what was going on, did their homework, wanted to be a part of it, and it just so happened that they worked out very well. And it just so happened that they came out of the church. Jackie had never sung out of the church in her life. She sung in choirs. Same with Gloria. The purity of those vocals were that gospel sound, again that portion that I brought to the table which was so strong. GW: We can hear how successful that Garcia Band was in the recordings. When I listen to Garcia Band, there is an endless variety of songs and styles covered. Bob Dylan, Van Morrison, Jimmy Cliff. Did you feel at home musically with Jerry’s selections or was there a learning curve? MS: There was a learning curve for me I didn’t understand it. I just didn’t. I also didn’t understand their approach to music. What I mean by that is coming from the R&B world, you dot your eyes and cross your T's. What I mean is let’s say your playing “Second That Emotion.” [Hums the melody] and you’ve got this accent that’s about to come, that’s the accent there. And everybody gets it as tight as they possible can, in the R&B and Gospel world. What I got with Jerry was the opposite. It was not tight at all, and they didn’t seem to care about making it tight. And I couldn’t figure that out. These great musicians can sometimes sound so sloppy. What I had to learn it wasn’t about the tightness it was about the vibe and the feel that came across. It wasn’t about how tight and polished he made it; it was about the vibe. And every night it could be totally different. I had learned that this style of music doesn’t have to be tight. After all my life of making things very tight. And I just didn’t get it. So I had to learn what jam-band music was all about because I had never done it. And that was the learning curve for me. 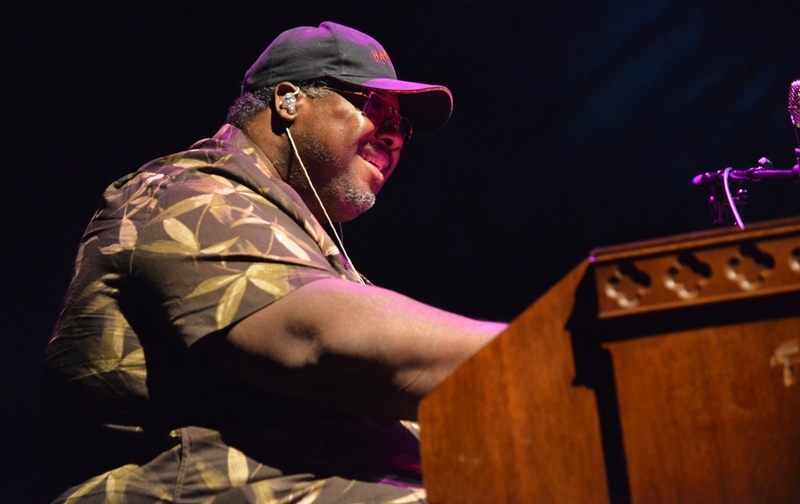 GW: And whether you realize it or not Melvin you are incredibly influential and instrumental in bringing that Gospel and R&B element into what is now known as “jam-band” and have further influenced that. You call your post-Garcia band “the keepers of the flame.” Much of your musical efforts since the passing of Jerry Garcia in 1995 have gone toward preserving the music you played with them. Why do you think people are still interested in seeing this music almost twenty-years after his passing? MS: I feel that people like to go back in time. To a happy time. And clearly when Jerry was alive and when we were performing that was a particular space of life when certain folks were enjoying themselves. Spinning and dancing or doing whatever they did to see this music and with the Grateful Dead, they liked what they were doing. So they want to in a way go back in time. What I’ve noticed is they’re isn’t quite as many older folks compared to the kids that come out now. Some of the parents whose kids had the Dead playing in their house growing up are coming to see this music. I’ll see them out in the audience, and they know all of the songs. I’m sitting and watching somebody that 17, 18, or 25 years old, some of them, most of them never saw Jerry, singing the words to every song. So I assume these are the children of the generations of people that were there when I was playing with Jerry. I find still that people like to go back to a happy time. I’ve seen judges, in their profession in a suite and tie. And then they come out to the show, and they’ve got a tie-die on. And they’re dancing, and you wouldn’t know that they were a judge. Same thing with a doctor or a lawyer. You wouldn’t not know this. They put on the tie-dye or the Jerry t-shirt, and they went back to a time of which they loved so much. When I hear some of these old people listening to these songs I think what was I doing back then when that was on the radio. When I go back, I think about ho I had this girlfriend, or I was doing this and was on top of the world. So that’s what the music is to them. It takes them back. That’s what the music of the Dead, or the Other Ones, or Furthur. It’s the same thing. People want to go back and hear those songs again. And not even so much performed by the original people. There’s a Grateful Dead band in every city and every town. People will pay to see those bands play the bands songs, over and over and over. It’s amazing. GW: There is so much life to the music. I want to speak about your JGB Band, though it has obviously been a bit of personnel rotation over the years you had a common collaborator with Stu Allen, a Dead aficionado, and terrific guitar player. In the past few years, he retired from touring to be a Dad and has since been replaced by Dave Hebert. Has the personnel switch changed or evolved this bands music? MS: It has definitely evolved. Further, than it had with Stu not to say it wouldn’t have with Stu, but now we are pretty much selling out a lot of our houses when we weren’t with Stu. Then we were in the building stages. We’ve gone now on a Hawaii tour, and we’re just generally doing bigger thing. For instance, we just performed at the Newcastle Theatre in New York. Before that, it was pretty much local clubs, but now we’re more into the theaters. The band has definitely gone up a couple of notches. Not to say it wasn’t there with Stu, but it certainly went there with Herbert. I can’t say exactly how it happened, but it needed to happen, and we’ve taken it further. You know Stu spent nine years with me and building when he first game to the JGB, he was nowhere near where he wound up. But he did the homework and became an excellent player. And same with Dave he had to do the homework and go deeper into Garcia, not just trying to tread water. You’d have to listen to it and really do it. For instance, everybody always remembers Jerry for his licks and runs. What many people don’t realize is that he was also an excellent rhythm player. When I was soloing, he was able to pump rhythm. Some of the guys try so hard to get a lick in or two and forget all about playing rhythm. That can’t sit back and do what Jerry did when he wasn’t soloing. So if you really listen to him, it’s not about getting in those licks that everyone likes, it’s further than that. These are things that Stu picked up, and now Dave has picked up, and they’re the best of the best. Stu needs to be a full-time parent, and this changed his life for while. GW: And it’s apparent that Dave has great chemistry with you and the rest of the band. I wanted to ask you about your collaboration with Steve Kimock Crazy Engine with his son John Morgan on drums. How did the project come about and what was your relationship with him previous? MS: Well, I knew Kimock and had worked with him previously when they re-coordinated “Zero.” I wasn’t part of the original Zero, but I guess the original keyboard player had a big-time job. So they called me in to do a couple of days with Zero, and with Steve, he needed a new organ player. I’m sure he’d heard my name bounce around and some folks seem to like what I do. And he’s one of those guys that got a name of his own and can hold down a band like that. So we played, and before I knew it, we had Crazy Engine. I don’t really know how it happened. The promoters and a lot of the fans really liked it. They just liked that idea, so we tried to make a band. And John was fresh out of High School and living at home with Dad. And he is quite a drummer. So he was around when we were rehearsing and it just kind of happened. Same thing with the bass player Janice, who was a friend of John Morgan’s. It came together. And I must say that Steve is one of my favorite guitar players. GW: That’s all the questions I’ve got for you, Melvin. I wanted to thank you so much for taking time with Grateful Web and this interview. You are a musical hero and mine and ours. The music you played with Garcia is invaluable. Be sure to catch Melvin with Shakedown Street at Boulder Theater tonight and in Crested Butte tomorrow. Of Course, Melvin will be touring with the JGB all spring and summer long. MS: It’s been a pleasure.